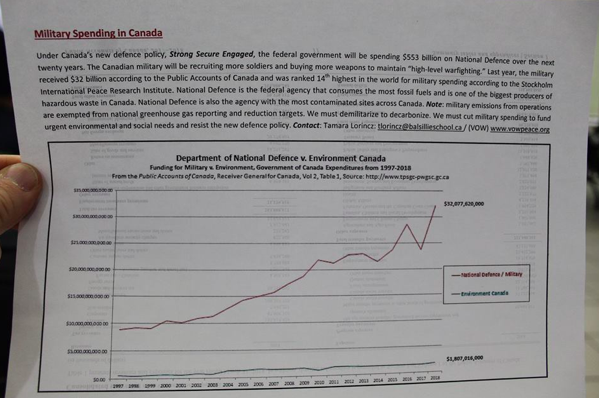 Canada spent $32 billion on military spending, according to Public Accounts Canada, largely to bolster US imperialism abroad, to the detriment of humanity. 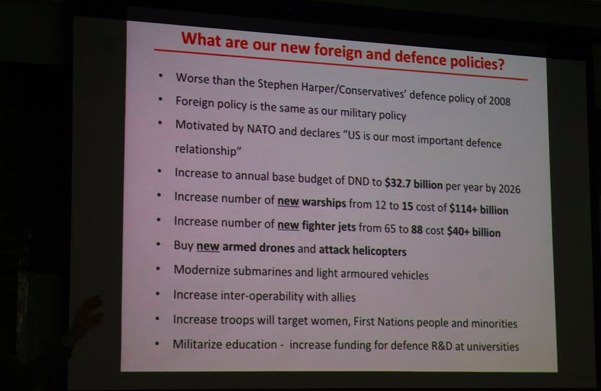 Canada’s NATO contributions are directly linked to the current diseconomy plaguing this country. Last year alone, Canada spent $32 billion on military spending, according to Public Accounts Canada, largely to bolster US imperialism abroad, to the detriment of humanity. U.S-led NATO is an aggressive military alliance. NATO members, including Canada, do not respect the rights of sovereignty and territorial integrity of target countries. NATO’s negation of international law has been amply demonstrated throughout the “Regime Change” war on Syria, but also in a host of post WW2 invasions, including Yugoslavia, Afghanistan, Iraq, Libya, Yemen, and beyond. Canada Peace Conference, November 2018. Presentation by Tamara Lorincz. 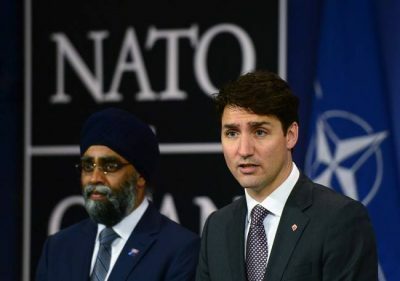 On the one hand, NATO membership drains public coffers, while on the other, it advances a criminal, toxic agenda which both restricts public options for a sustainable economy, and our ability to address real dangers facing Canada and humanity. NATO fabricates the perception that it is ensuring our safety when in reality it is endangering us all. Whereas Canada and the world needs to address catastrophic climate change, the military is the top consumer of fossil fuels, and one of the biggest emitters of hazardous wastes. Whereas Canada and the world needs Peace, NATO membership ensures the opposite. Canada does need equal access to education and healthcare. We need community hospitals, equal access to affordable medications. We need public housing. We need improved infrastructure, fast trains, fast ferries, well-paying jobs. We need alternate energy infrastructure that addresses catastrophic global warming. We do not need war. Excessive military spending precludes our real needs and imposes war needs and the wants of international oligarch classes. NATO globalization, then is a cancer devouring us all, predicated on Lies. We need to say No to globalizing NATO military bases, No to economic straightjackets and diseconomies, and Yes to self-determination and sustainable economies. Robin Mathews, “The Trans Pacific Partnership: Canada and Imperial Globalization – Part one.” American Herald Tribune. 20 May, 2016. 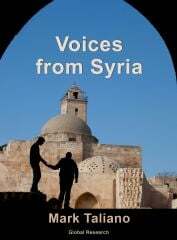 (https://ahtribune.com/world/americas/916-ttp-canada.html) Accessed 25 November, 2018.